Customer acquisition without marketing. Is that even possible in the business to business world? Not only is it possible, it’s what’s next. If you’re a business to business (B2B) marketer, you’ve undoubtedly seen the “be human” and H2H meme. Funny thing is, humans have always been behind all those business product and service purchases. What’s not so funny are the continued fails in how B2B companies communicate, the experiences they create for business buyers and the unrealized marketing power of delivering awesome. It’s time to shine a light on how B2B marketers can elevate their “human” approach to buyers and one of the best people to do that is Scott Stratten. Scott is the president of UnMarketing. 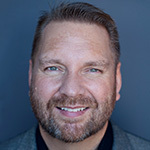 He ran his “UnAgency” for nearly a decade before solely focusing on speaking at events for companies like PepsiCo, Adobe, Red Cross, Hard Rock Cafe, Cirque du Soleil, Saks Fifth Avenue, Deloitte, and Fidelity Investments on social media and relationship marketing. Named a top social media influencer by Forbes, the Tweeple love Scott with over 160,000 people following his daily rantings. He’s also written three best-selling books including QR Codes Kill Kittens and his newest book: UnSelling. Who is Scott Stratten? Which came first, the business smarts or the funny? Business smarts. When I was 13, I had convinced my friends to clean up the dog poop in our backyard, since my mom said we couldn’t play road hockey until it was done. She said that was the point she knew I’d be an entrepreneur. Or a conman. I can’t remember, it was a long time ago. I’ve always heard the best marketing investment a company can make is in their product. Is that true? Or is it an investment in customer experience? I’m the first person to preach about customer experience, but if your product is terrible, I don’t care if you’re the greatest customer/community believer in the world, it won’t help. We always talk about the importance of social media, of being where the customer conversation is, but we need to tend to our own home first. I once had a woman in Istanbul stand up after a talk I gave and asked “We have a lot of people on Twitter complaining about our product. How do we stop them?” That’s the problem. If people are angry on Twitter, you don’t have a social media problem, you have a problem with your product. What’s the first thing most companies need to “unlearn” about marketing that doesn’t harm any kittens? They really need to stop mannequin networking. Setting up shop online, in social media, and only broadcasting and scheduling/automating. It’s like sending a mannequin to a networking event. Sure, you’re “there” but you’re just not there. Consumers are empowered to publish like never before. Does that make them competitors to brands or potential marketing partners? What it comes down to is transparency in marketing, that’s where the consumer comes in. Marketing is no longer about what brand message the company wants to put out, it’s what the customer thinks. Good or bad. You don’t define your brand. If you want to know what your brand statement is, ask a customer. People trust reviews more than commercials, by a huge margin. There’s a reason for that. I don’t stay somewhere without checking TripAdvisor. I don’t eat somewhere without looking at Yelp. Corporations like to talk about being transparent, but consumers are transparent when they talk. Two brand marketing fails, go! Insert here any brand that used Robin Williams suicide as a PR opportunity. What brand is your poster child for doing it right? WestJet airlines in Canada. Great people, great social, great across the board. We highlighted them in the new book, UnSelling, and while I was going over the chapter on a flight with them, one of their VP’s boarded the plane, introduced himself to the flight attendant and rolled up his sleeves and helped with the drink service. It was perfect. Facebook – People from high school I never liked. Vine – Makes my son cackle with glee when he watches videos. Who knew? LinkedIn – People I use to work with I never liked. Twitter – People I used to like, but now they schedule all their tweets. Snapchat – Something I’m not cool enough to use. Kids these days. YouTube – The TV of today. Instagram – Pics of food I never liked. Pinterest – Great site, ruined by marketers. Tumblr – Great space being ruined by Yahoo! 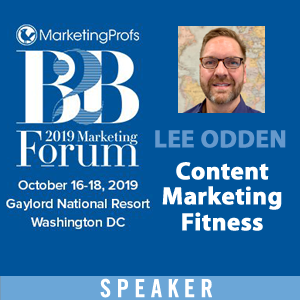 Your keynote title at MarketingProfs B2B Forum is, “Marketing for What Comes Next. Expect the Unexpected” can you share a few preview concepts? It’s Unexpected. Why would I tell you? Sheesh. 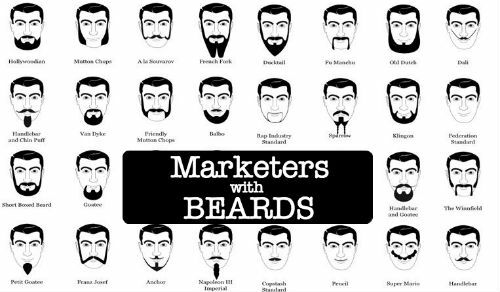 I am so happy you have become a member of the esteemed and mysterious “Marketers with Beards” Facebook group. I would like to name you honorary Grand Puba. Speech? I’ve been waiting for this moment since I sprouted my first chin hair. It is an honour and a privilege to be along my fellow bearded men (and women). You can see and hear Scott Stratten in person at the upcoming MarketingProfs B2B Forum conference in Boston, October 8-10, 2014. 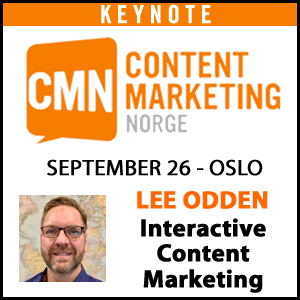 He’ll be giving the opening keynote: “Marketing for What Comes Next. Expect the Unexpected”. 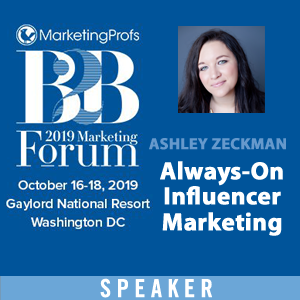 If you are a B2B marketer, I can’t recommend the B2B Forum enough. 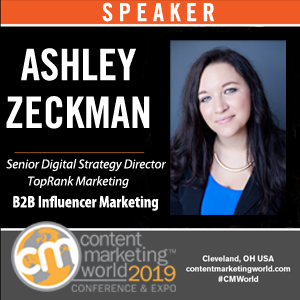 It’s a conference where you can actually get to know other attendees dealing with the same kinds of issues in B2B marketing that you are. 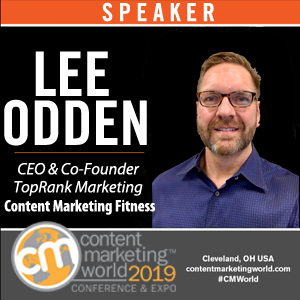 You’ll also be able to connect with over 60 B2B marketing industry experts giving presentations and one to one consulting. Get Boston Oct 8-10 for MarketingProfs B2B Forum on your calendar, I know I am! `This article brings to light the need for the organic factor to be present in the marketing process. The human factor is the best element in the marketing factor. Well done! I almost forgot the discussion was about marketing because of how witty and funny Scott is. He hits the nail on the head with the point that, while being personable on social media is crucial, it shouldn’t dwarf the quality of your product.